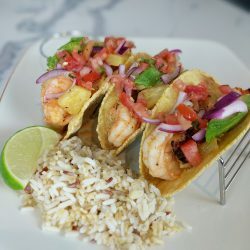 These Shrimp and Pineapple Tacos are refreshing and delicious! 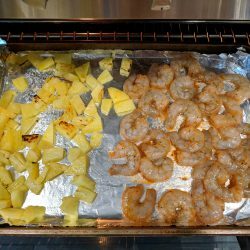 You cook the pineapple and shrimp on one baking tray and in the broiler, so there is little to no clean up and the broiler doesn’t heat up your house! 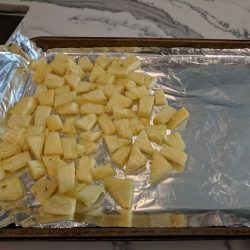 Prep time is about 15 minutes and cook is less than 10 so you can have a meal ready to go in less than 30 minutes! 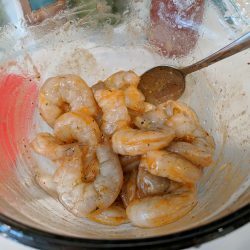 I got this recipe from Bon Appetit! Click here to view! 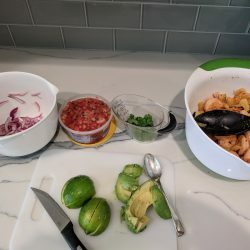 The only things I changed were that I added Pico De Gallo (fresh salsa) and Cholula to the top and I didn’t use a Jalapeno. 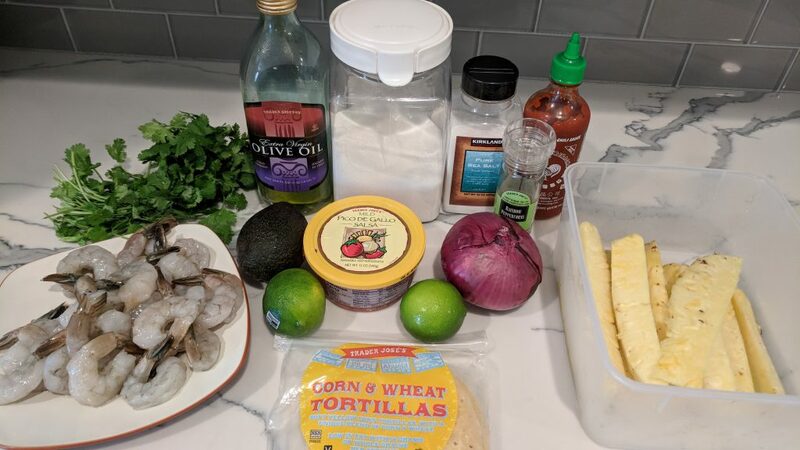 Each Taco has 220 calories, 26g carbs, 7g fat and 12g protein. I usually eat 2 and my husband has 3! 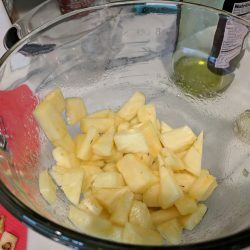 I served this with Mediterranean Rice and used chicken broth instead of water to cook. However if you are pescetarian/vegetarian you can use vegetable broth instead. 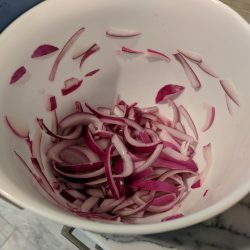 I just think the broth gives it way more flavor than just using water. 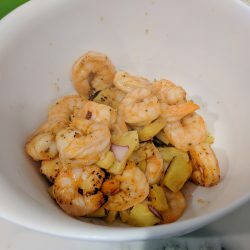 serve with your favorite rice! 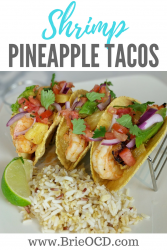 I am definitely making this on Taco Tuesday. YEAH!! !